31st August, 2017 – An awesome strategic battle game, Elysian War era unfolds as AMZGame prepares an exclusive release. 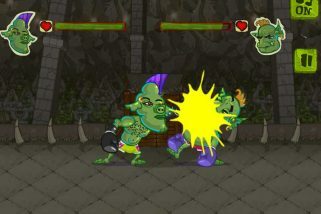 The whole game revolves around the theme of strategy that is only nature of Elysian War and only way to beat your opponent. Weather, landform, forces, array and strategy will give you twice the battle tactics with half the effort! Take on the challenge by teaming up with close friends and family. Player controlled manual or automatic battle options. Build your city your way on your terms. Random general card draw system ensures that each player has a unique experience. 5 different general combat systems with special attack abilities. No two battles will be fought the same way. Each general is unique and can be upgraded to unlock further enhancements. Use Lieutenants to empower your generals with more skills and abilities. There are lots of Generals to command in Elysian War. Generals have unique skills and can be further enhanced when combined with deputies. Players can use different combinations of Generals to create a powerful team! Cultivating, awakening, achieving generals’ growth & strength enhancement. Use strategic turn-based game play! Players can change the location of the attack after the selection is finished, click the battle button to enter the battlefield! There are three kinds of actions in the battlefield, mobility, common attack, special attack. You have to use your strategy and wit to win battles successfully! Archers and Priests both have a longer range. Cavalry, Spearmen, Swordsmen are for close-combat. For Spearmen and Priests, the player can match the general with a deputy to increase the range, and use hit or run tactics to thwart opponents tactics and strategies. Players also can use NPCs as a human shield in front of their forces to absorb the damage, and cause the enemy to gather their forces in a confined area and then use Priests with AOE to mass hit opponents. Players should also pay attention to the generals’ movements, especially the Priest forces. If a general has high attack and low HP then players need to protect the forces with low HP as premature death can lead to their own demise in a disadvantageous situation. 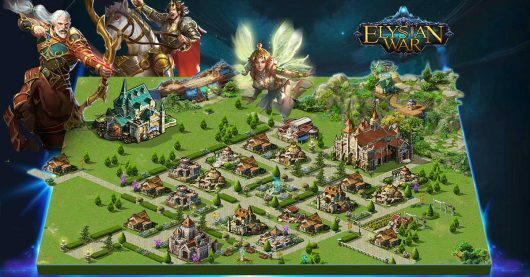 Elysian War will begin in the Closed Beta testing phase, during which time players are encouraged to test out the various features and functions, while reporting any bugs or issues that may occur. Upon test completion, the Alpha Server will be erased, but all the players who have participated will receive gifts on the real server!! 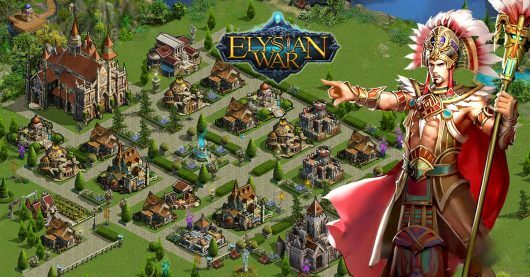 GO PRE-REGISTER for Elysian War NOW!